As a sales assistant, you'd think I'd like to spend my day off work well away from shopping. But sometimes, I simply can't avoid it. My Dad was heading into Chelsea and I thought why not join him - just for a nice stroll along King's Road. 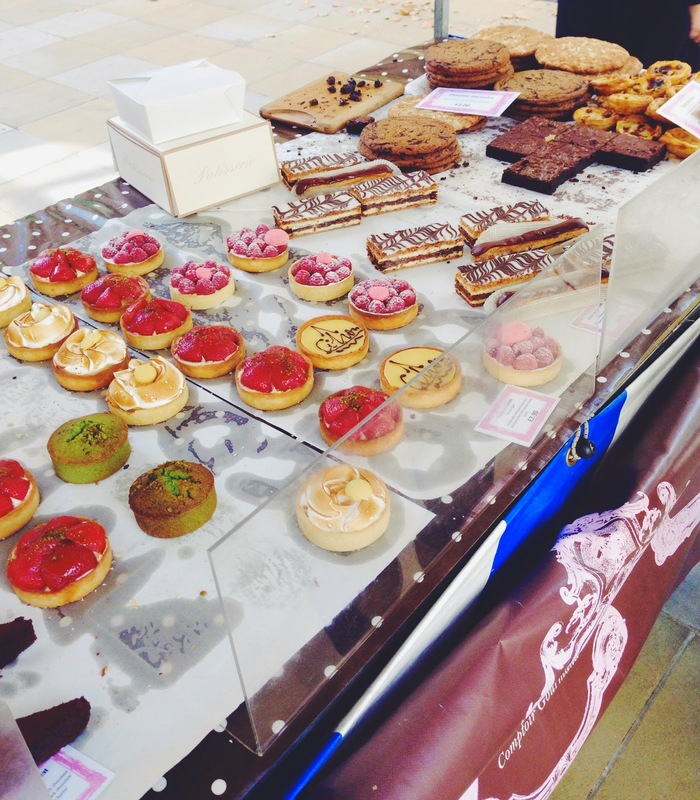 The weekly food market in the Duke of York square is always nice to wander round - we couldn't resist these cute little desserts. Naturally, when Dad went to lust after watches, I headed for the beauty department in Peter Jones. Just for a browse, of course. I started off experimenting some products I'd read about online and was pretty underwhelmed. 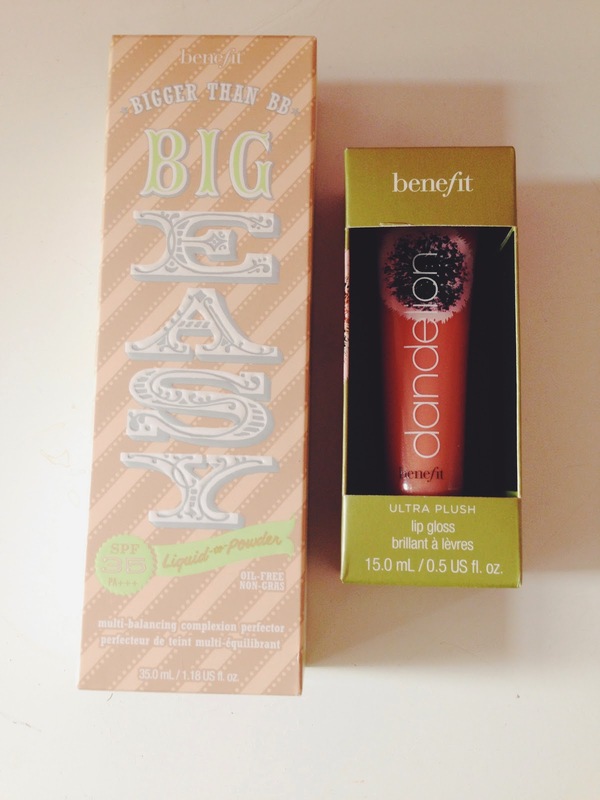 So I headed to the faithful ol' Benefit counter for a make-up fix. Like always, I wasn't disappointed. As I mentioned in my Body Shop cleanser review, I have pretty oily skin and have always struggled with foundations and powders. So today I went for the 'Big Easy' BB cream to powder formula in '02 - light'. Although I didn't go in looking for a foundation product, I'm so happy I chose this one. It's everything I look for in skincare/make-up. As a liquid-to-powder product, it's easy to apply and is incredibly light on the skin. I like my make-up looking natural and fuss-free - simply because I don't have the skill to experiment with blushers and bronzers like some of my very talented friends. I go for basic and long-lasting. If it survives an 8-hour shift, I know it's a keeper. The 'Big Easy' will be put to the test tomorrow but I'm feeling pretty confident in its lasting abilities. I've been a huge Benefit fan for the past six years (I even possess one of their discontinued 'Georgia' powders) and I've yet to be let down by one of their products. I also re-purchased the 'Dandelion' lip gloss which I first bought a couple years back. At £14.50, its quite pricey for lip gloss but, for me, it's so worth it. I love the subtle shade of pink (see below) and it has the perfect texture - its application is smooth and not too sticky. Yes, it's a bit of a splurge but other lip products I've tried since just don't compare. Looking at my make-up bag now, my Benefit products have survived the test of time. Yes, it's a higher end brand but they're well worth the investment. 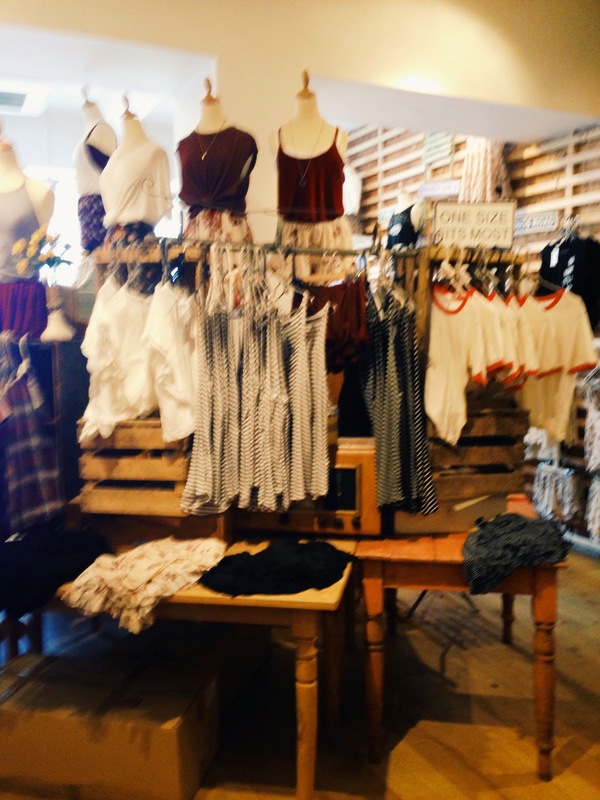 Of course, no trip to King's Road is complete without a look in Brandy Melville. This California-cool American chain has it's only UK branch on Chelsea's King's Road. It's a cute little store with a very casual, LA feel to it. Most of their clothes are made of cotton or other light, airy fabrics. Personally, some of their short shorts and minuscule crop tops feel a bit 'young' for me, especially when there are so many pre-teens wandering round - the brand is particularly popular with this age group. But I've bought some really cute sun dresses and basics from there in the past that have served me well over the years. Today I went for the Gaby Dress which is perfect for my friend's birthday drinks on Monday night. 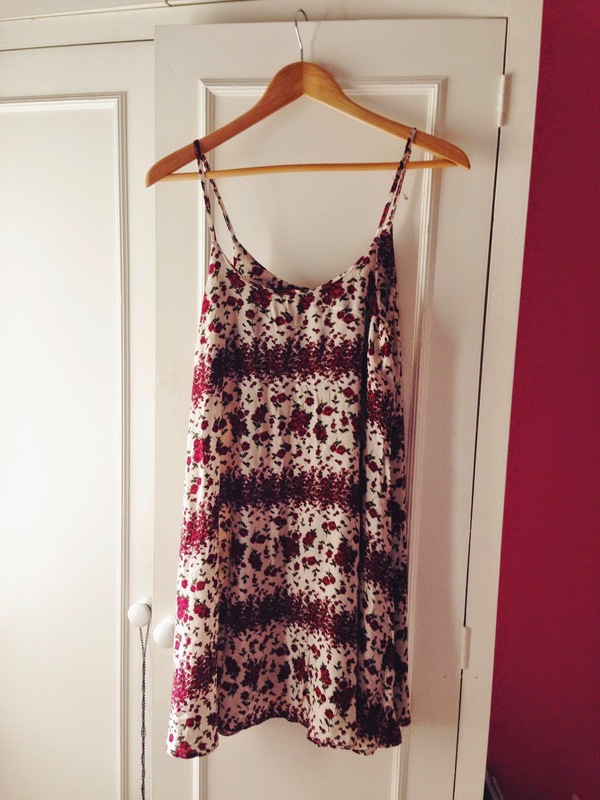 Plus, I thought it'd be a fun party dress for my Freshers Week which is fast approaching. It's one of those great little dresses you can style for both everyday use and nights out. Overall, it was a pretty successful trip to Chelsea. Pretty bad for the ol' bank balance though, my debit card certainly needs a time out.